Flicking through The Pilgrim’s Progress by John Bunyan the other day, I was reminded of how he introduces us to the Delectable Mountains. These are havens of rest for pilgrims en route to the Celestial City. From House Beautiful, the pilgrims are shown “a most pleasant Mountainous Country, beautified with Woods, Vineyards, Fruits of all sorts; Flowers also, with Springs and Fountains, very delectable to behold." We who hike to the mountains of Scotland and beyond may not see the vineyards, but we are often on a pilgrimage of some sort. 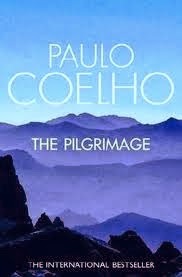 We may not know precisely the spiritual destination towards which we tread but, we are on pilgrimage nevertheless. Indeed the word ‘pilgrimage’ comes from the Latin meaning merely ‘from afar, beyond the fields’ (per + ager = peregre). In case you wish to identify the Delectable Mountains on your next hike, they include the readily identifiable Mounts Error, Caution, Clear and Marvel!